Which Tarot Advisor Should I Choose? Choosing the right Tarot Reader is a very personal decision. To obtain the best results, it is always recommended to choose someone you feel most drawn to. We also suggest that you fully read the advisor’s profile, watch their video introduction and review their feedback. This will ensure you choose a Tarot Reader who is best suited to help you. How Do I Contact a Tarot Reader? Contacting an advisor is easy! Simply review the Tarot Readers available, choose who you would like to do your reading for you, make your request and click “send”. 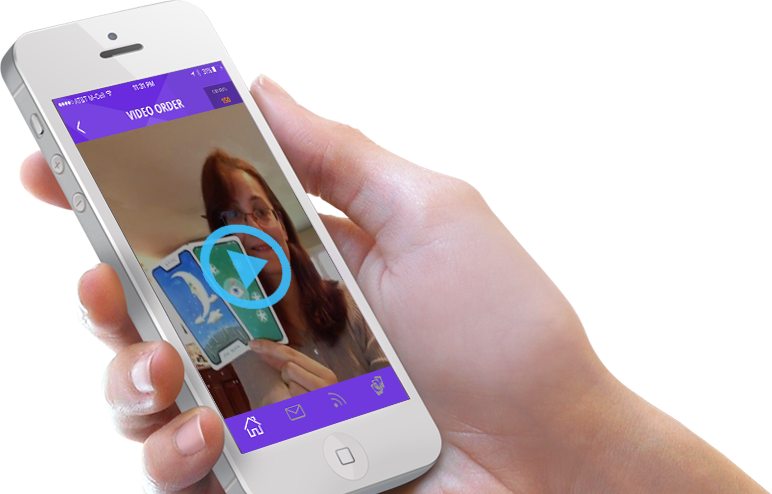 You can even submit a short video with your question for a more personal reading. Our Tarot Readers are dedicated to providing you with fast and accurate answers. When our advisors are available they will be logged into the app to receive your requests. At most, responses may take up to 24hrs hours to receive, but are typically delivered much faster. Yes you can! MyTarotAdvisor stores your questions asked and your video and message responses. Simply choose the “Message Center” envelope icon to view your past Tarot Readings.